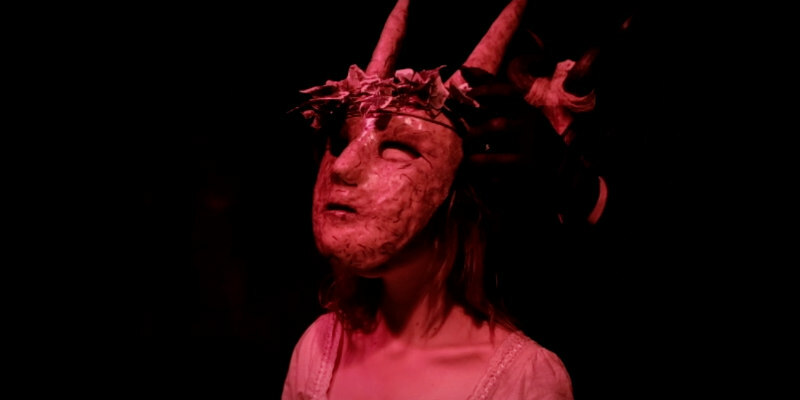 Kurtis Spieler, the captain of the nail-biting new horror pic The Devil’s Well, talks us through the important marketing tools required to pimp an independent horror movie. Are you a horror fan from way back? Any old faves inspire The Devil’s Well? I’ve been a horror fan ever since I was young. I was raised on movies growing up. I first started with action movies, but it didn’t take long for me to transition into watching more horror. Predator was a big one that helped transition me from action to horror. I would say I actively started watching horror movies when I was about 10 years old. 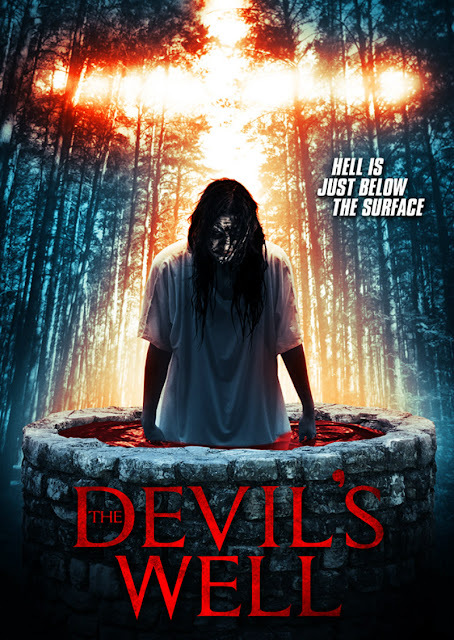 I can’t say that any movies specifically influenced The Devil’s Well, but while I was writing I knew it was going to be more of a “slow burn” type of horror movie. I am definitely a fan of horror movies that take time with the characters, Rosemary’s Baby for example. So, I used movies like that to help me pace things a bit slower. I wanted to spend more time building the characters and the tension, before revealing the actual horror. What was the most surprising bit of feedback you heard about the movie? Some recent reviews have compared The Devil’s Well to Lake Mungo, which was surprising. I’m a huge fan of that movie and considering we shot with a much lower budget, to be compared to Lake Mungo is a big compliment. The movie itself is split into two parts. The first part plays out like a documentary, where the second part plays out more like a found footage movie. We officially started shooting at the end of 2015. We filmed the interviews one at a time over the course of a few months. After that, we then shot the second half in the spring of 2016. It took about a year or so to finish post production. The final cut was locked in 2017. And was the press campaign equally as long? We signed the distribution deal with Wild Eye Releasing in 2017. It’s common for a movie like this to take anywhere from nine months to a year after signing before it is actually released. We had some advanced reviews done for the movie early on, but most of the press has just started now that it’s actually about to be released. How important do you feel it is to do press for a film? Press is important on any movie, but I think more so on low budget movies like this one. There is a lot of content being put out these days (especially in the horror genre) and you have to find a way to stand out from the crowd. The only way to really do that is through good press and good word of mouth. Can positive and negative reviews affect the performance of a movie? Absolutely. With so much content out there these days, you have to find a way to make viewers choose your movie over another one. The only way to do that is to make something that people want to see. Good reviews and good word of mouth go a long way to help with that. What does 2018 hold in store for you? First, I’m curious to see how The Devil’s Well is received. Thus far, the critics' reviews are positive, so I hope that trend continues and I hope viewers enjoy it too. I’m also talking to a couple of different companies right now trying to get another movie going. I hope to be back on set and back in the director's chair in 2018. Is there a genre you haven't tackled that you'd like to next year? I would love to stay in the horror genre. It’s my favorite genre. There are definitely sub-genres that I would love to tackle. Specifically, a slasher movie. In fact, one of the scripts that I’m pushing right now is an '80s style slasher. I would love the opportunity to get to make that movie. Looking back on the year, how successful for you was it? If I’m being honest, 2017 was a little slow. After signing with Wild Eye Releasing, I spent most of the year just writing and trying to get my next movie going. Now that The Devil’s Well is coming out, I’m hoping that 2018 will be much busier. The highlight was definitely signing with Wild Eye Releasing. Whenever you make a movie like this, you never know what’s going to happen with it once it’s completed. Having a company like Wild Eye Releasing say that they want it is a huge validation. It’s hard to make a movie, and it’s even harder to make a good one that people want to see. You start with some words on paper and then carry that all the way from pre-production, into production, and through post-production. It’s a great feeling to sign that dotted line at the bottom of the contract and know that it was all worth it.